Immediately after meeting Madame Gautreau in 1883, Sargent wrote to his friend del Castillo to find out if he could do anything to persuade Madame Gautreau to sit for him. 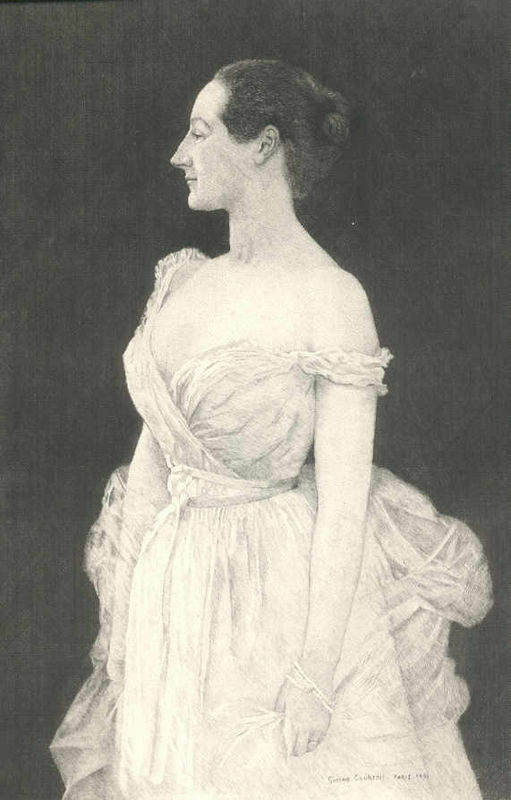 Gautreau's beauty, provocative dress and studied indifference, along with her rumored affairs, made her the belle célèbre of Parisian society. Painting her portrait would be not only, to quote Sargent, "a homage to her beauty," but a fail-proof way of achieving the notice of Parisian society. However, Gautreau turned down many requests of this nature. It was a stroke of luck for Sargent that she finally consented two years later, after much pleading. Perhaps their shared American expatriate background made Gautreau choose him out of many other talented artists's offers. As was the case throughout most of his career, Sargent insisted on having control over his sitters' wardrobe. 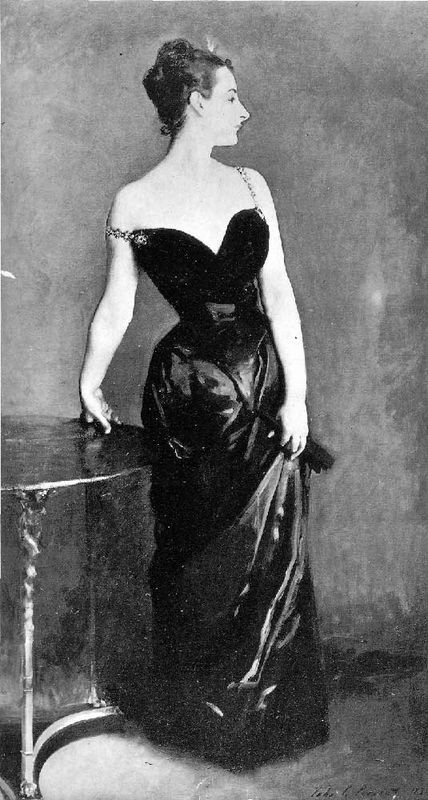 Sargent chose one of her more revealing, black gowns, which radiated sexuality and provided a dramatic contrast to the unnaturally pale skin for which she was known. Amelie did not prove the ideal sitter. Willful and spoiled, she let her many social obligations distract her from posing for Sargent. After breaking many appointments with the artist in the Winter of 1883, she suggested that he come to her summer mansion, Chateau les Chenes, for the summer of 1884. Sargent struggled with the painting at first. He had a hard time deciding on a pose, sketching her many different times and in many different positions: seated in a contorted pose, seated with her head raised, then lowered, even holding out a champagne glass. Finally, Sargent chose his decisive, ground-breaking pose: Amelies' body faces the viewer with her head turned in profile and arm twisted onto a supporting table. Sargent had an equally hard time with painting the tone of Amelies' unnaturally pale and lily-powdered skin, finally choosing a mix of lead white, rose madder, vermilion, viridian, and bone black. Even before the portrait was exhibited, it drew a buzz. Gautreau raved to her acquaintances about the painting- despite never having seen it in its finished form. 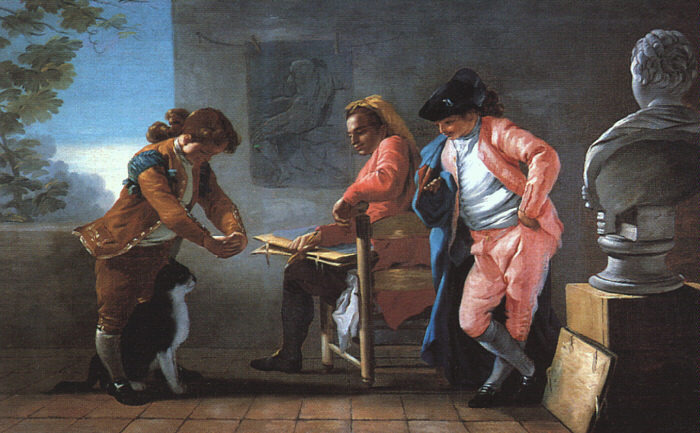 The salon hardly opened before the picture was condemned for the sitters' "flagrant insufficiency" of clothing, the critique against its odd composition almost an afterthought. The Parisian public could not stop talking about Madame X - it was a scandal of epic proportions. Even before the first day of the exhibition had passed, Amelies' family was petitioning the Salon to take it down - a request it denied. For fear of the family destroying the painting, Sargent took it down himself, returning it to his studio. There, in his one artistic moment of self-doubt, Sargent altered the womans' left strap so that it faced up-right as you see today, rather than being provocatively lowered. This portrait ruined Sargents' promising career in Paris. People were not just scandalized by his actions - they were also afraid to be painted by him. The woman's reputation suffered equally- she retreated from society, the subject of many malicious rumors. Sargent moved to London to start his career anew, finding wild success in the process. He survived the scandal, along with Madame Gautreau. Seven years later, Gautreau let another artist Gustave Courtois paint her in the same composition, down to the hanging strap. This time, the pose was well received by the public.